This is the First Episode of Season Two. 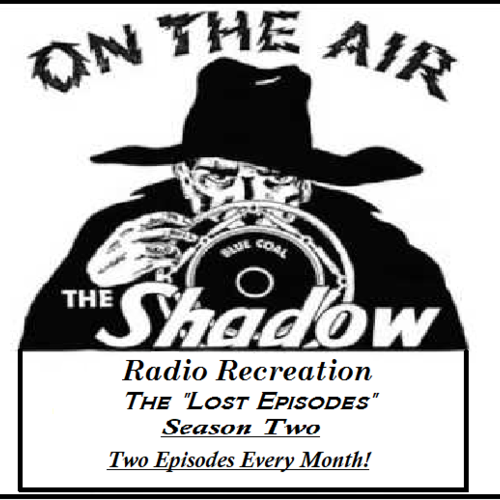 In this episode, Lamont Cranston and Margot Lane must find who is the Secret One and why is he sending Threatening letters, which brings death to whomever recive them. Can this "Secret One" be stopped? Onlythe Shadow Knows! Once casted, I will send the lines as soon as I can and they must be done A.S.A.P and on .Wav Format! *Note* Due to this being one of the many "Unaired" Episodes, there are no pictures regarding the characters. Also, I had to remake this Casting Call due to an error I couldn't fix. Thomas Densing is a man who beleives he is the true Duke of Cordova. He writes death letters on his typewritter to to people who he claims have insulted him in one way or another. (Lunatic Fringe, Haughty Tone) Dear Madam: Little did you know when you insulted me that I am the rightful Duke of Cordova in Spain. And when I have assume my rightful place, I will pay you back. I will have you killed. Yours truly. The Secret One. That's him! That's the man. That's the one who insuleted me! He insulted me. He didn't know I am the rightful Duke of Cordova and that I was a spy in the War. I paid him back for the insult and sneers. That's him! Dear Shadow: You little realized when you insulted me that I am the rightful Duke of Cordova and was a secret agent in the war. And when I have assumed my rightful place I will pay you back for your insolence. Yours truly, The Secret One. George Boswick was one of the men who worked on the Manhattan Project during the War. Now, he has recieved a death letter from someone calling themself, The Secret One. Listen! It may be for yaks with you, but I'm not so sure. I did some work for the manhattan project during the war. Some crazy character could get the idea that I was a spy. I---- All right, Cranston. Maybe you're right. Thanks a lot. Goodnight. Ives is a Superintendendant working at the Blackwood Post Office and a suspect towards the murders by "The Secret One"
Discription: Tall Slim Man who wears glasses, black hair. Put them down. Those letters are federal property. You may consult the proper athorities through. They may obtian police proctection by appealing to the proper authorities. There, Miss Lane. We're nice and cozy now. Door closed. Windows sealed. We can have a quiet chat. The letter-writer, Miss Lane. The Secret Agent. The Secret One Cranston said he was here. Obviously he's not. Where is he? [Savage] I tell you, you're lying. A brute (Mid 30's) who was found in Ms. Lois Chester's apartment. He has a record for Extortion and Blackmailing. That's a lousy lie, Commissioner. I never sent her any letter. I never burned it.